At Intelligent Automation in Insurance senior executives from insurers, reinsurers and brokers, along with experts in technology, will debate and share the revolutionary changes emerging from the application of intelligent automation - including artificial Intelligence, machine learning, robotic automation, natural language, and processes automation. The programme is highly interactive to facilitate open exchange of ideas, including high level panels, startup presentations and demos as well as extensive networking opportunities. How Can Intelligent Automation Support Intelligent Claims Decisions? Digital Trust: Intelligent Automation is Here to Stay, but What About Security? Why attend Intelligent Automation in Insurance? 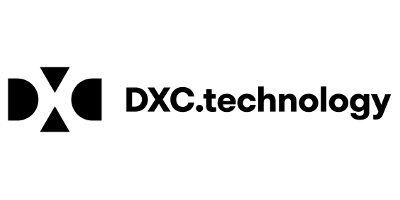 DXC Technology is the world’s leading independent, end-to-end IT services company, helping clients harness the power of innovation to thrive on change. We serve nearly 6,000 private and public sector clients across 70 countries. The company’s technology independence, global talent and extensive partner network combine to deliver powerful next-generation IT services and solutions. DXC serves every segment of the insurance market globally, including life and annuity, commercial and personal property & casualty lines, specialty, reinsurance, broking, health, wealth management and pensions. The Grange Tower Bridge is a 5-Star hotel, situated close to the Tower of London and Tower Bridge in London’s historic core. The hotel is situated a short walk from Tower Hill tube station and Tower Gateway rail station, providing optimum accessibility to London’s renowned insurance district.